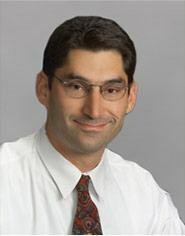 Home / About Us / Meet Our Physicians / Lawrence Berson, M.D. An orthopedic surgeon, Dr. Berson specializes in treating patients with foot and ankle injuries and problems. Dr. Berson is a graduate of Pennsylvania State University College of Medicine, and he completed his residency at Robert Wood Johnson University Hospital. Dr. Berson also completed a fellowship in Foot and Ankle Surgery at Texas Medical Center, The Foundation for Orthopedic, Athletic, and Reconstructive Research.